Dr. Bentkover has achieved Board Certification, which is the highest level of education and training within the specialty of Endodontics. Dr. Bentkover is an Assistant Professor of Endodontics and currently serves as the Director of Microscopic Endodontics at the University of Illinois, College of Dentistry. 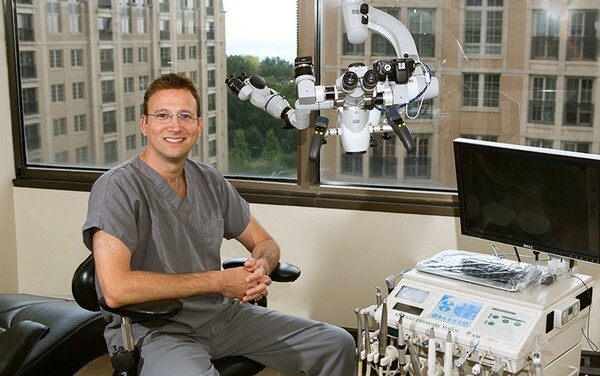 Dr. Bentkover has been actively practicing with the dental operating microscope for 25 years, and is the designer and co-founder of the UIC Endodontic Microscopy Center. He has lectured extensively worldwide on all aspects of the Dental Operating Microscope and is currently guest faculty at the Pacific Endodontic Research Foundation in San Diego, California. He has personally mentored hundreds of endodontists worldwide in the use of the dental operating microscope. Also, Dr. Bentkover is co-author of the chapter on “Endodontic Surgery,” in the Seventh Edition of Pathways of the Pulp; and is the sole author of the two chapters, “Setting Up Your Dental Operating Microscope for Photography” and “Setting Up Your Dental Operating Microscope for Videography,” in the new Best Practices in Endodontics A Desk Reference. Furthermore, Dr. Bentkover is a member of the Omicron Kappa Upsilon National Dental Honors Society, American Association of Endodontists, American Dental Association, Chicago Dental Society, Illinois State Dental Society, Edgar D. Coolidge Endodontic Study Club, Illinois Association of Endodontists and Evanston Association of Dentists. Finally, Dr. Bentkover is married to his lovely wife Diana and enjoys music, photography, canoeing and fishing with his three children. As a Board Certified Endodontist, Dr. Leonard has achieved the highest level of training and qualification within the specialty of Endodontics. Dr. Leonard is a graduate of the University of Iowa where she earned her Bachelor of Science Degree in Biochemistry. She earned an additional Bachelor of Science Degree and her Doctor of Dental Surgery Degree from the University of Illinois at Chicago College of Dentistry, and during her time there she was awarded the Dr. Gerald L. Wine Scholarship and was inducted into the Omicron Kappa Upsilon National Dental Honors Society. She then went on to attend a one-year General Practice Residency program at Northwestern Memorial Hospital in Chicago, Illinois. 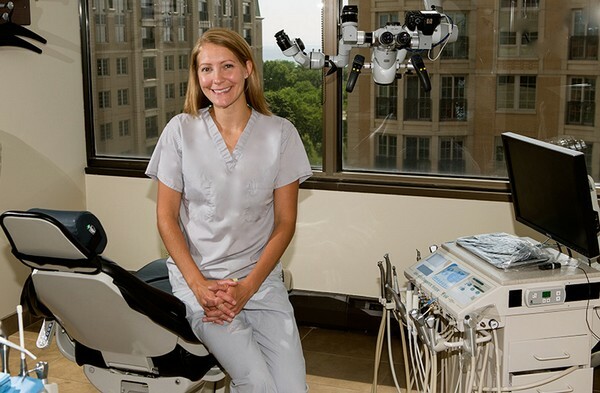 Following residency training, Dr. Leonard returned to the University of Illinois at Chicago College of Dentistry to complete her advanced specialty training in Endodontics. Dr. Leonard is a member of the American Association of Endodontists, American Dental Association, Chicago Dental Society, Illinois State Dental Society, Edgar D. Coolidge Endodontic Study Club, and Illinois Association of Endodontists. In her free time Dr. Leonard enjoys spending time with her husband Carl, and three children. She is also an avid skier and enjoys travel and the Northwoods of Wisconsin.